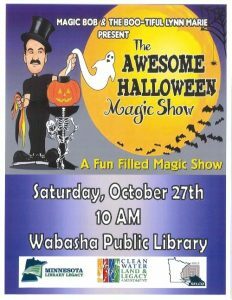 Stories, Games, Food, Fun and Magic at the Wabasha Public Library starting next Thurs. 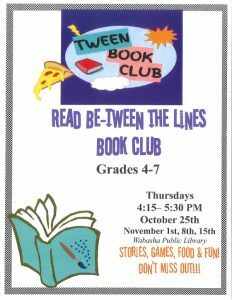 Oct. 25th with Tween Book Club. Grades 4-7 will meet at the Library from 4:15 – 5:30 p.m. for literary activities and fun with Ms. Amy. 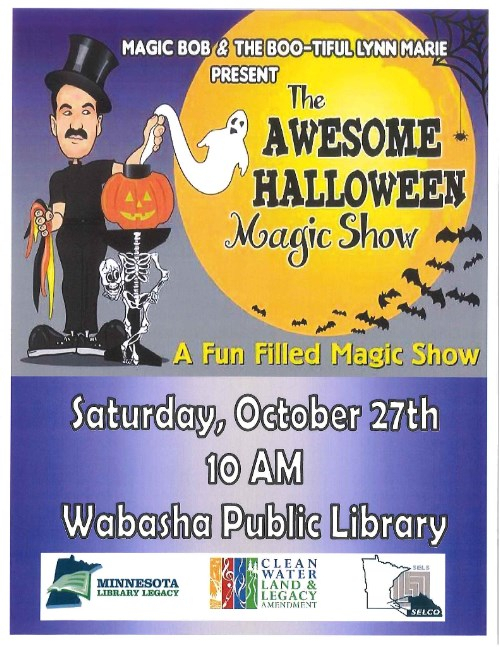 The Awesome Halloween Magic Show will take place on Sat., Oct. 27th at 10 a.m. All ages are welcome to this free event. Movie Event, Sunday Oct. 28th at 1:30 p.m.
FOL’s Author Luncheon, this Fri. Oct. 12th at 11:30 a.m.